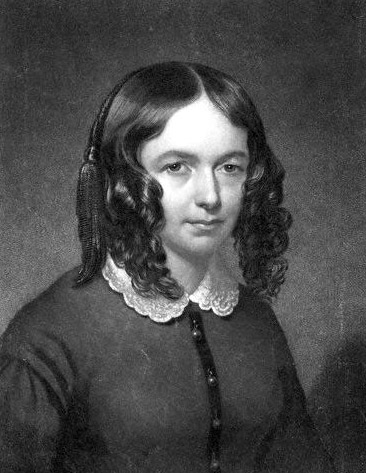 English poet whose reputation rests chiefly upon her love poems, Sonnets from the Portuguese and Aurora Leigh, now considered an early feminist text. Her husband was Robert Browning. Elizabeth was the eldest child of Edward Barrett Moulton (later Edward Moulton Barrett). Most of her girlhood was spent at a country house within sight of the Malvern Hills, in Worcestershire, where she was extraordinarily happy. At the age of 15, however, she fell seriously ill, probably as the result of a spinal injury, and her health was permanently affected. In 1832 the family moved to Sidmouth, Devon, and in 1836 they moved to London, where, in 1838, they took up residence at 50 Wimpole Street. In London she contributed to several periodicals, and her first collection, The Seraphim and Other Poems, appeared in 1838. For reasons of health, she spent the next three years in Torquay, Devon, but after the death by drowning of her brother, Edward, she developed an almost morbid terror of meeting anyone apart from a small circle of intimates. Her name, however, was well known in literary circles, and in 1844 her second volume of poetry, Poems, by E. Barrett Barrett, was enthusiastically received. In January 1845 she received from the poet Robert Browning a telegram: “I love your verses with all my heart, dear Miss Barrett. I do, as I say, love these books with all my heart—and I love you too.” In early summer the two met. Their courtship (whose daily progress is recorded in their letters) was kept a close secret from Elizabeth’s despotic father, of whom she stood in some fear. Sonnets from the Portuguese (1850) records her reluctance to marry, but their wedding had taken place on September 12, 1846. Her father knew nothing of it, and Elizabeth continued to live at home for a week. The Brownings then left for Pisa. (When Barrett died in 1856, Elizabeth was still unforgiven.) While in Pisa she wrote The Runaway Slave at Pilgrim’s Point (Boston, 1848; London, 1849), a protest against slavery in the United States. The couple then settled in Florence, where their only child, Robert Wiedemann Barrett, was born in 1849. In 1851 and in 1855 the couple visited London; during the second visit, Elizabeth completed her most ambitious work, Aurora Leigh (1857), a long blank-verse poem telling the complicated and melodramatic love story of a young girl and a misguided philanthropist. This work did not impress most critics, though it was a huge popular success. During the last years of her life, Mrs. Browning developed an interest in spiritualism and the occult, but her energy and attention were chiefly taken up by an obsession, to a degree that alarmed her closest friends, with Italian politics. Casa Guidi Windows (1851) had been a deliberate attempt to win sympathy for the Florentines, and she continued to believe in the integrity of Napoleon III. In Poems Before Congress (1860), the poem A Curse for a Nation was mistaken for a denunciation of England, whereas it was aimed at U.S. slavery. In the summer of 1861 Mrs. Browning suffered a severe chill and died. 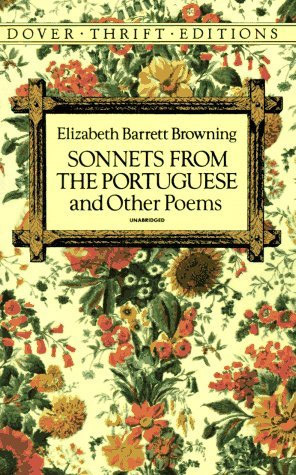 When Elizabeth Barrett Browning finished Sonnets from the Portuguese in 1847, the book had no title and was intended as a private gift from wife to husband. At that time, the couple was living in Pisa, Italy. It was no easy thing to be married to the famous poet Robert Browning, and one of the many points of interest in this sequence of sonnets is the light they throw upon the uniquely productive marriage of Elizabeth and Robert Browning. It was Robert, after all, who suggested the title for the work, and it was he who prevailed upon Elizabeth to publish these famous love poems in 1850. 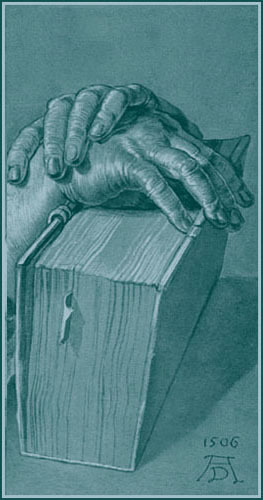 A small edition had been printed in Reading, England, in 1847, but it was boldly marked "Not for Publication." The sequence as originally composed contained forty-three sonnets arranged in a carefully calculated order; for the 1856 edition of her Poems, however, Elizabeth Barrett Browning inserted a new sonnet after "Sonnet XLI," thus raising the total to forty-four and establishing the text as it has been subsequently reprinted in one edition after another. 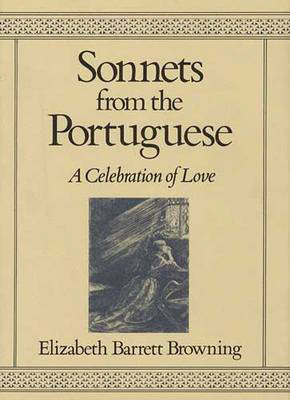 This brief overview of the publication history of Sonnets from the Portuguese suggests that the work is the product of a highly systematic poet, one capable of working on a large scale, and one whose work was destined to become a classic of the English language. 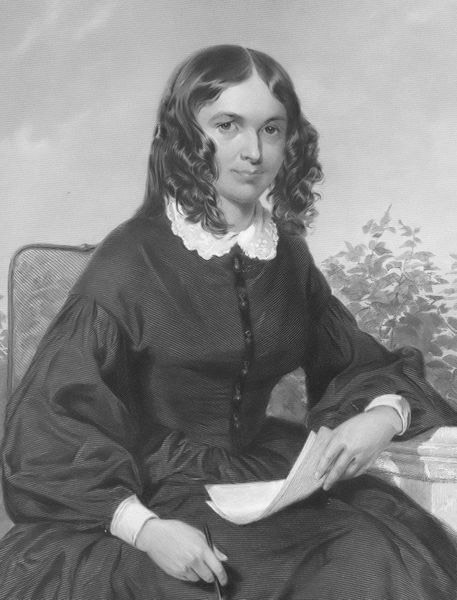 Elizabeth Browning's strategy and subsequent success depend upon highly successful psychological principles. The sonnets are arranged in a precise order that duplicates the emotional "graph" of her relationship with Robert. In general terms, the sonnets tell the story of her lonely withdrawal from society (the result of an overprotective father) prior to meeting Robert, her incredulity at his first professions of love, then her passionate and intimate involvement with him, and finally her triumphant celebration of their love. More specifically, Sonnets 1-Х reveal her "melancholy years," which were characterized by her "heavy heart" and "frequent tears," while Sonnets XI-XIII represent her first, tentative steps toward full acceptance of Robert and his "vindicating grace," all of which she needs to "fashion into speech." Sonnets XIV-XL constitute the center of the book, where the lover-poet details the typical joys and frustrations of the lover. Sonnets XLI-XLIV represent the triumphant celebration and consummation of that love—and an appreciation of its value in the larger scheme of things. The poet keeps this sequence under tight control by using a variety of rhetorical devices, chiefly transitional words like "yet" and "indeed" and transitional bridges created by repeating key words from the fourteenth line of one stanza in the first line of the succeeding sonnet. Even more interesting are the transitions effected by having one sonnet comment upon or answer its predecessor in some way (as occurs in the bridging word "love," which connects Sonnets I and II, or in the expanded meaning of "same heart" in the transition from Sonnet XXXIII to XXXIV). Browning also employs a confessional tone that is revealed in diarylike private revelations, some of them suggesting a kind of dramatic honesty more typical of American poets like Emily Dickinson or Marianne Moore. For example, she likens Robert's love (in Sonnet I) to a force that physically pulls her "backward by the hair." Hers is a uniquely personal voice, original and unpredictable: she is unusually assertive, at least by nineteenth-century British standards, ordering her lover to "go" (in Sonnet V), to "love me for love's sake" (in Sonnet XIV), and to "choose" (in Sonnet XVII). She confesses many details of their relationship, telling the reader about exchanged locks of hair (in Sonnets XVIII and XIX), about her trembling hands in Robert's presence (in Sonnet XXIII), and about a secret letter (Sonnet XXVIII) and a pet name (Sonnet XXXIII). Finally, the poet maintains unity by self-consciously employing flower imagery (especially in the concluding Sonnet XLIV), a powerful stimulus for someone who lived the first twenty years of her life in Herefordshire in the beautiful environs of the Malvern Hills and who composed Sonnets from the Portuguese in Pisa, Italy. The poem makes a daring reversal in its final two lines by undercutting the insistence on "the silver iterance" and reminding Robert that love truly thrives on the silence of the soul. Sonnet XXI is truly a remarkable document, a superb example of psychological fidelity coupled with spectacular poetic invention. And great souls, at one stroke, may do and [dote]. for love), the product of their mutual involvement. Slow to world-greetings, quick with its "Oh, list,"
Half falling on the hair. О beyond meed! I have been proud and said, "My love, my own." Especially clever are the poet's use of the word "folded" to describe the motion of kissing and of "purple state" to suggest the passionate intensity of Robert's lips. It is hard to find the equal of such descriptions in the poetry or the prose produced in Great Britain during the late 1840s. in an argument with himself or herself. The sonnet, like a concentrated diary entry, distills a moment of psychic and spiritual awareness and holds it up for inspection. A sequence of sonnets can replicate an entire emotional history. That is precisely what Elizabeth Barrett Browning achieved in Sonnets from the Portuguese. For those who have experienced love, Sonnets from the Portuguese will always be a reminder of this most poignant of all human emotions. 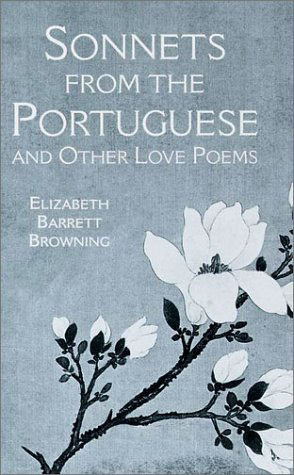 More important, for those who have never loved—or never loved deeply enough—Sonnets from the Portuguese will do what literary art always does: beckon the reader to a life that is larger and deeper and more human than seemed possible beforehand. 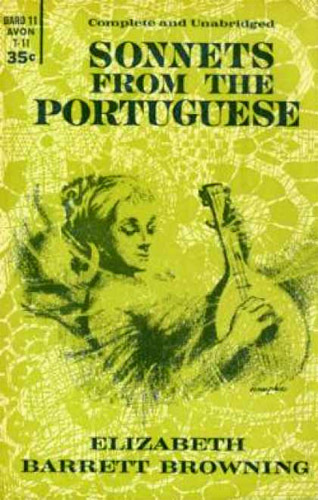 If the book accomplishes that task for successive generations of readers, then it becomes a classic, and Sonnets from the Portuguese eloquently meets that criterion. On its pages, an intensely private love affair is transformed into that rarest of phenomena—a truly universal work of art. Not so; not cold,--but very poor instead. A shade, in which to sing--of palm or pine? The nine white Muse-brows. For this counters part, . . . I find thee; I am safe, and strong, acid glad. Yet I wept for it!--this . . . the paper's light . . .
Drop heavily down,--burst, shattered everywhere! Slow to world-greetings, quick with its "O, list,"